New for 2014, this 4Ton Capacity Parking Lift is now available from stock. This parking lift is similar to the PEAK A435-P Parking Lift but is longer, wider and heaver. Being able to store.one vehicle above another maximises your parking space area plus it keeps your cars safely off the street or drive and away from prying eyes. 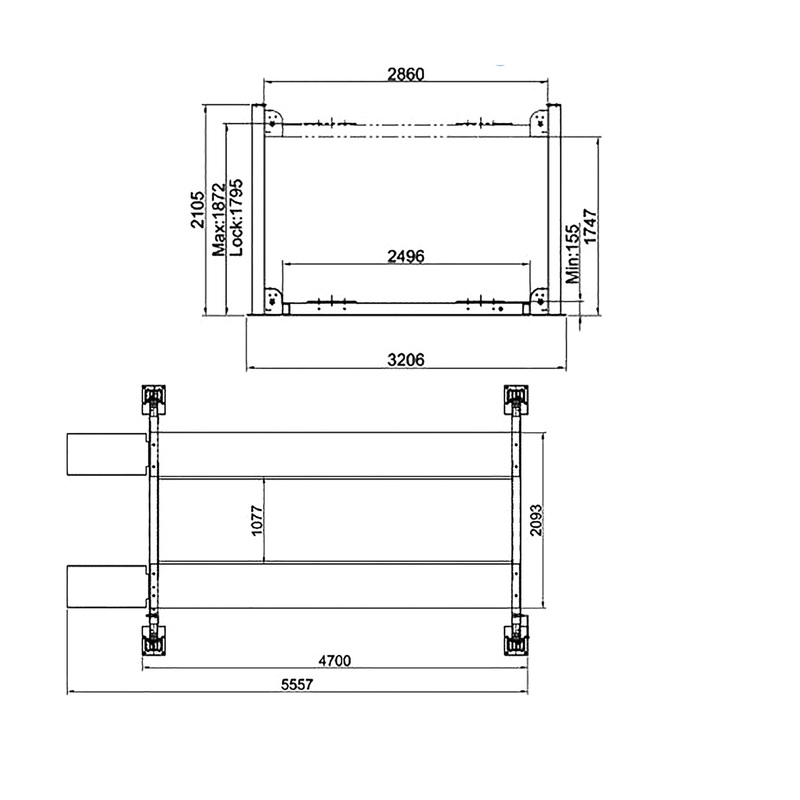 Made by PEAK in China especially for the European market this Parking lift has been designed with both the classic or sports car owner in mind who only drive their 'pride & joy' at weekends and for use by professional vehicle storage companies. The small size of this 4 Post Parking Lift means that maybe you could install it in your existing garage/workshop. 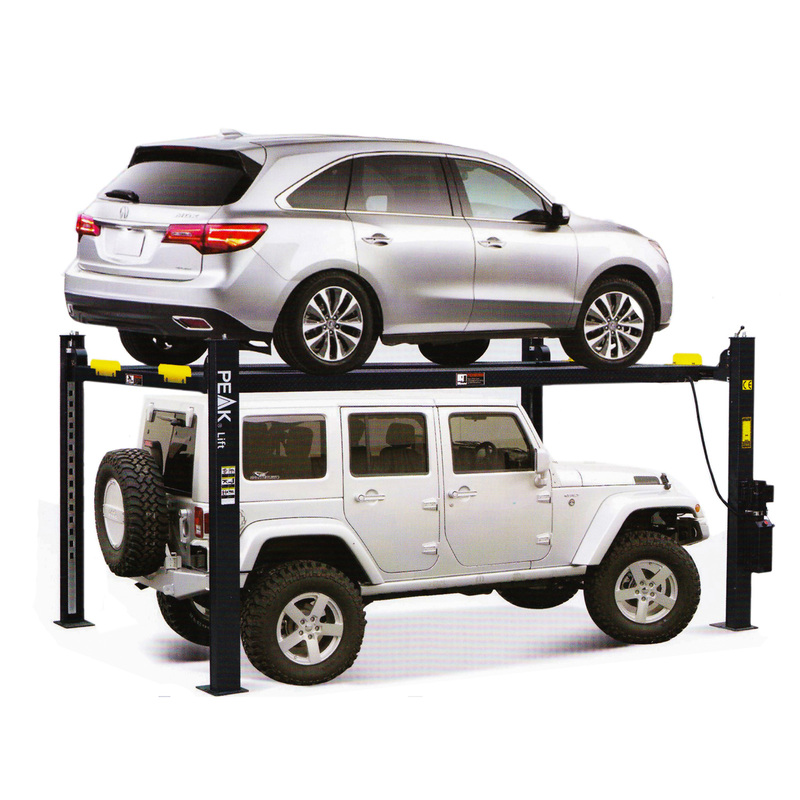 Plus of course you can use the lift to help you service and maintain your vehicles or even complete that 'project'. The PEAK A440-P has a capacity of 4Tons. PEAK exclusive hidden double safety locks with manual single-point release device. 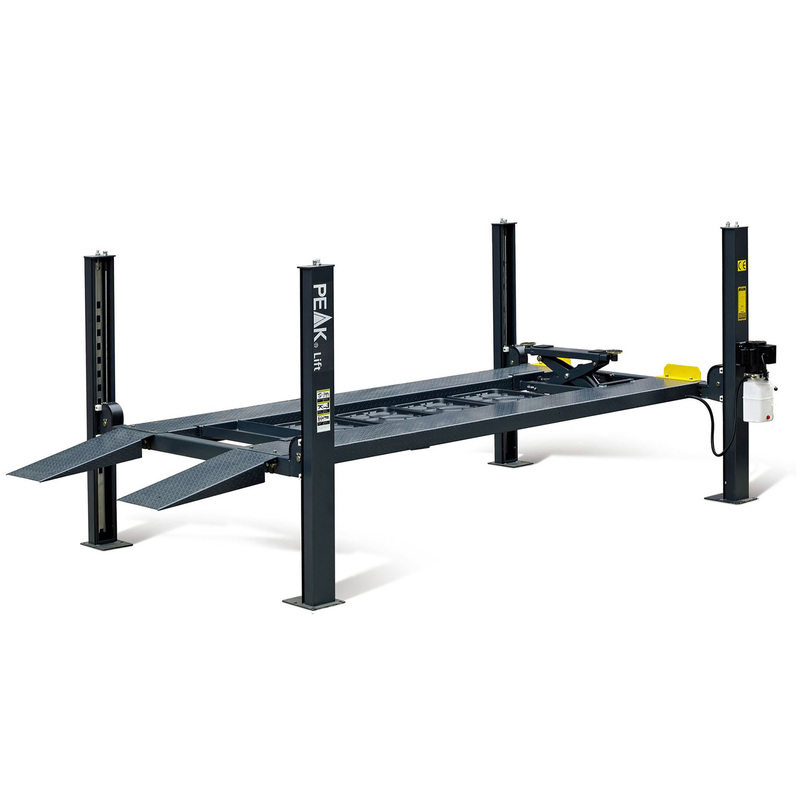 The PEAK A440-P Parking Lift has been designed to be portable and with the optional caster kit it can be easily moved when empty . Caster kit E4G 40801 £150 + VAT extra. Motor Fixing Bracket E4G 40802 £25 + VAT extra.